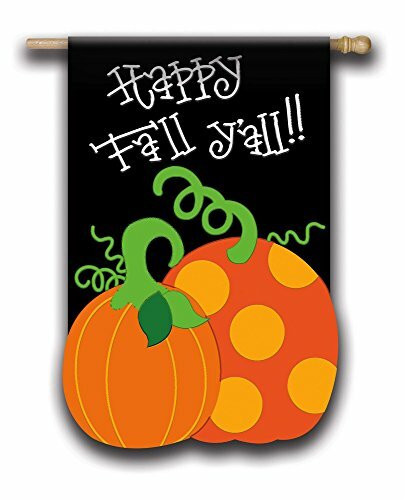 Fall is in the air – my favorite time of year! 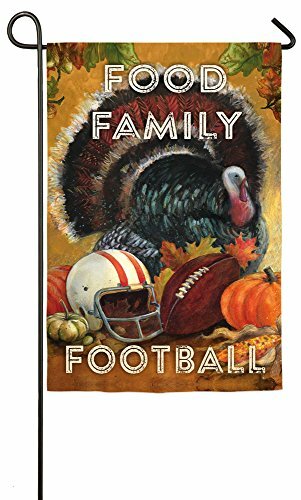 Football, Thanksgiving food, and FAMILY! 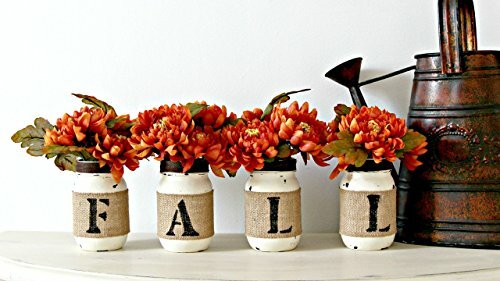 Here are some really easy and fun fall decor ideas to decorate your home for the fall/autumn season. If you see anything you like, just click the picture to learn more. We all love to see homes decorated for the changing seasons, but in today’s crazy world, who has the time? Fall decorating has never been so easy! 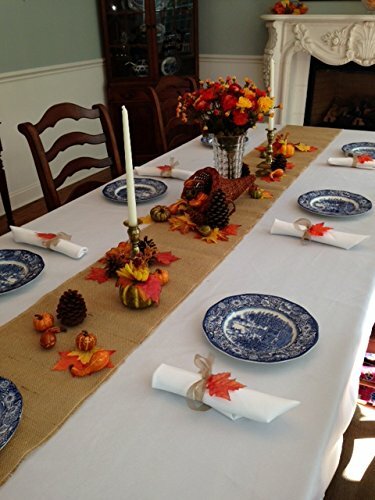 Follow these simple steps to turn your home into a festive fall showplace in very little time. 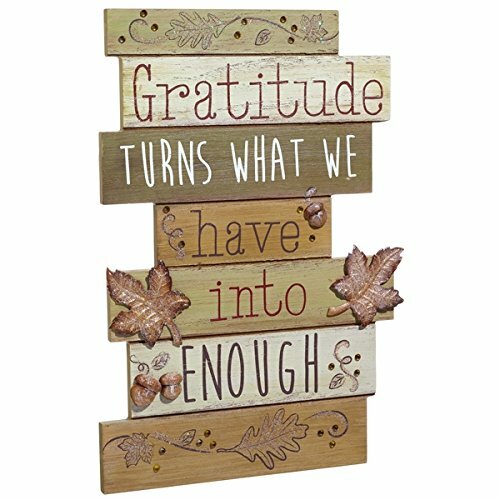 Today we are stressed out at work, running on empty to shuttle our kids back and forth, and our time is very precious. Too often we sacrifice the simple seasonal joys because we just don’t have the time. Well take heart, fall decorating this year is fast and easy. 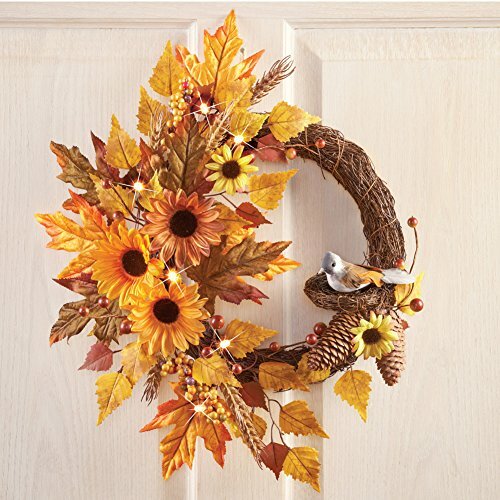 Autumn Wreaths: Nothing sets the tone for a fall home like a decorative wreath. Save yourself the headache of trying to make your own by purchasing a pre-made wreath online. 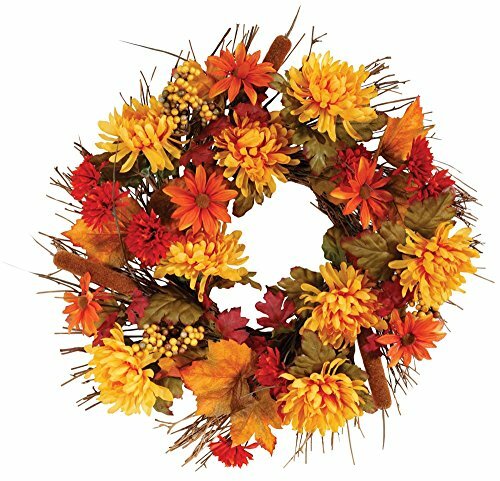 These wreaths have come a long way in recent years and will add autumn beauty to your front door quickly. 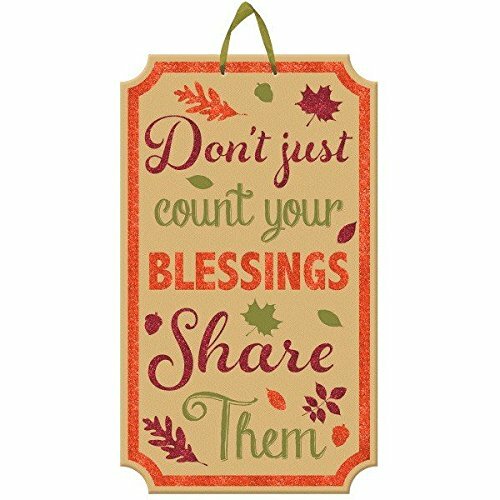 If you only add one piece of seasonal décor, this would be the one to invest in for the most impact. Hanging wreaths has never been easier with the new inexpensive wreath hangers available at most craft stores. Autumn Mantle: An easy way to add a fall touch to your home is to accent the fireplace mantle. Normally only decorated at Christmas, mantles are the perfect staging for seasonal displays. 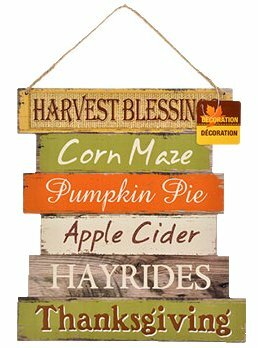 Drape an autumn garland for a quick fix or arrange harvest themed figures such as pumpkins and gourds for a colorful focal point. 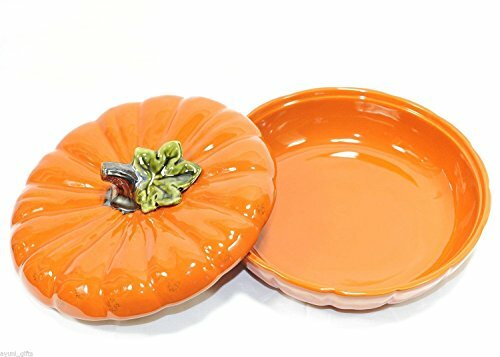 Just adding a few items will give a fall theme to any room. 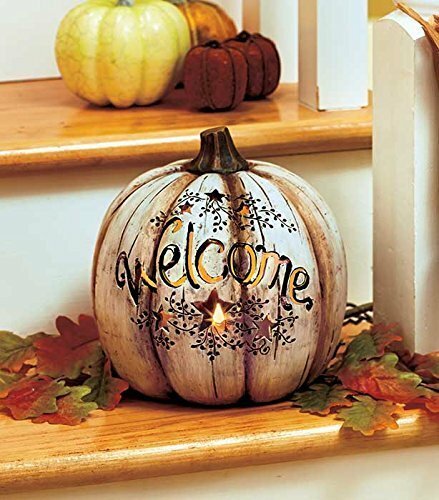 Autumn Entrance: A super fast way to add fall decorations to your home is to start with the entrance. It doesn’t have to be elaborate. 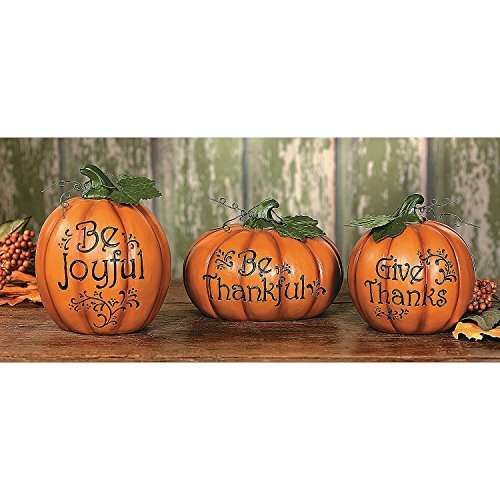 A simple display of pumpkins flanking your porch steps, a harvest themed window box, or a simple arrangement of pumpkins and gourds next to the front door. 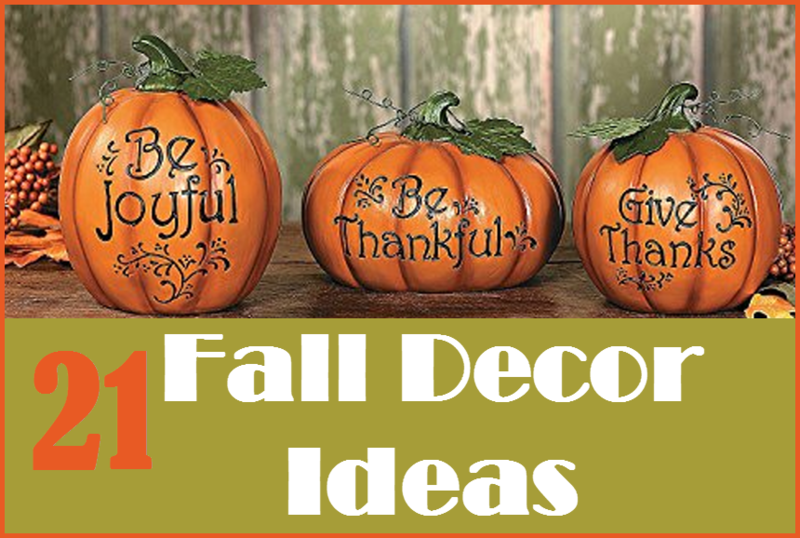 To get your fall decorating underway, you can do one or all of these projects. All three could easily be completed in less than one afternoon. 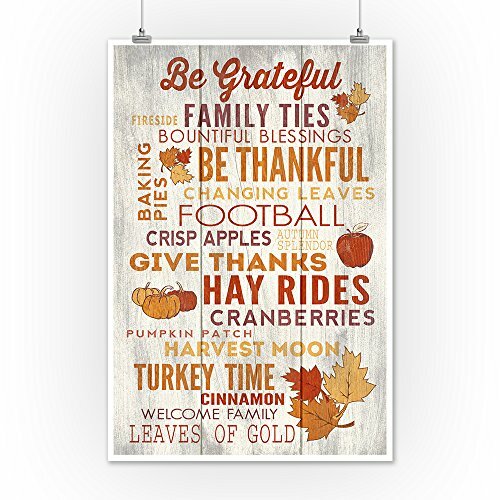 No matter how busy you are, there is no reason why you should not enjoy bringing the fall season to your home. 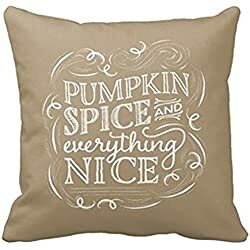 Fall decorating should add harmony and warmth to your home, not stress you out with a long to do list during an already busy time of the year. 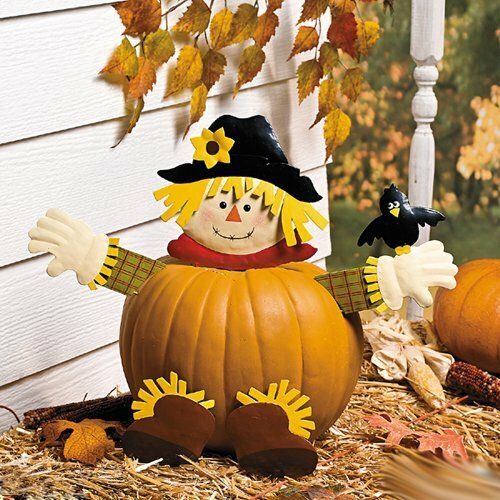 Here are eight easy, fast, and cheap fall decorating ideas. Incorporate dashes of a new color to your existing color scheme. Mix vibrant, rich red or autumn orange with neutrals or contrasting colors like beige, green, or blue. If you like green, try a muted tone, which is a refreshing option to bolder colors. Start with budget-friendly changes, such as accent pillows, throws, table settings, rugs, and candles which add drama and impact. Bring the outdoors in by gathering woodsy items from your own backyard, finding them at your local home decorating store or farmers’ market, or buying them online. Look for small twigs and branches, pinecones, moss, and leaves. Place any combination of them in fancy pots, interesting vases, wooden trays, rustic lanterns, or hand woven baskets. 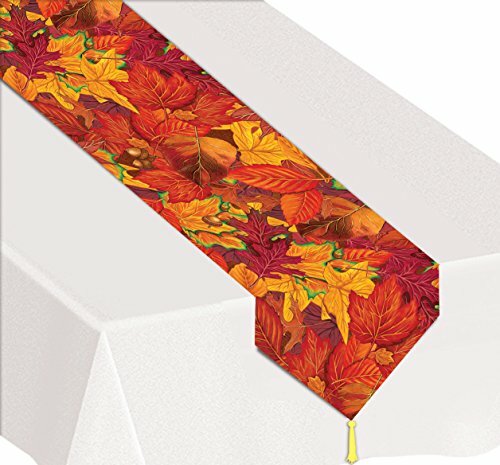 Spice up your fall dining room by adding little unexpected surprises to your dinner table. 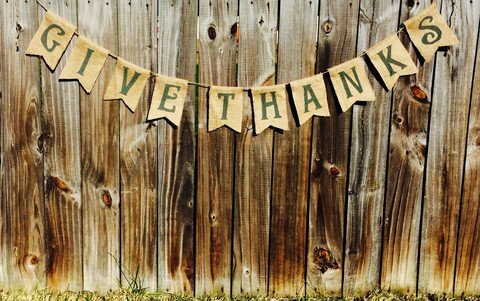 Use ribbon, twine, or copper wire to tie a name card to leaves or small twigs to make festive place holders for your dinner guests. 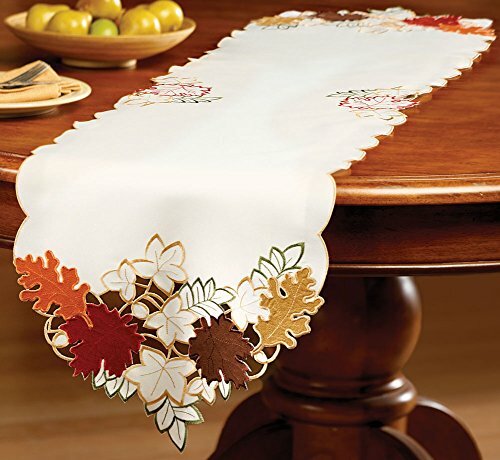 Dress up your napkins with velvet ribbon for a traditional, yet festive, napkin holder. Or, use tasseled cords or stands of pearls in a modern, metallic shade from a crafts store. Enjoy the fall season with country or casual accents. Get homemade artwork, organic fabric, and wooden accessories. Find cozy blankets to add texture and comfort to many spaces. Select items that will remain current through the holidays, or that are simple to update, to save time and money. For example, twigs, candles, and pine cones can last through winter. 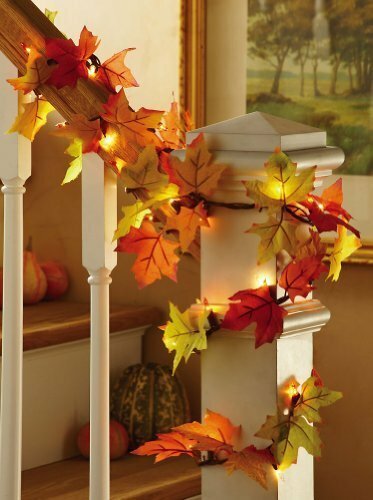 After Thanksgiving, replace your autumn pieces with garlands, wreaths, fake snow, or Christmas ornaments. You’ll give your decor additional style. Be classic by introducing wreaths to your space, and you can make them or find them in many materials. Try out wheat or grasses for fall, holly or pinecones for Christmas, or acorns and dried berries for the entire fall and winter seasons. You can hang wreaths the traditional way or experiment with flat wreaths to display gourds, pumpkins, candles, or other elements. Celebrate the season with candles, which are versatile and can be added to any space. Stay with neutral colors, and then make easy swaps of centerpieces, holders, and embellishments as your mood or the season changes. Installing LCD rope lights are a low-investment. For high-impact, hang large Chinese paper lanterns or beaded Moroccan vessels to add warmth. Create a conversation space around your fire place. Arrange the seating to make the space more inviting and cozy. If you don’t have a fire place, sit two comfy chairs in a nook or corner, add candles for ambient light, and keep a serving tray on hand to place mugs of hot chocolate. 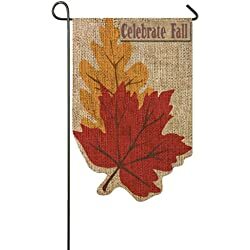 As the leaves fall, we all want to make a change to our home décor. Here are a few ways to make your home feel like fall, no matter what the climate is like where you live. Decorations: Wreaths are always a festive choice, and many fall wreaths will last until spring. Branches, and fake fruits such as apples or baby gourds are always a nice touch to any fall decorations. For an added sparkle, experiment with different spray paints or just add a glitter spray as a finishing touch. You will feel like it is fall in New England in no time! 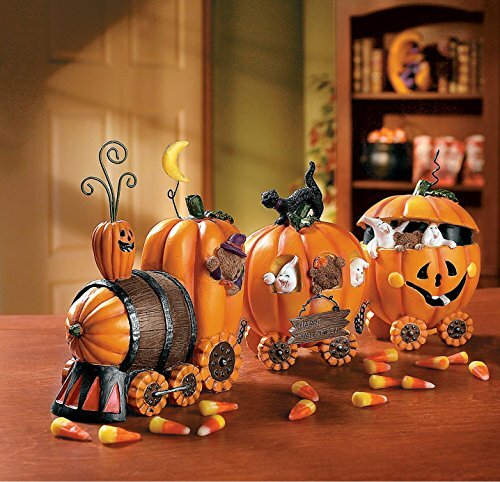 Furniture: When redecorating for the fall season, consider this whimsical touch. Use wallpaper decals on your older furniture for a completely new look. Whenever redecorating bedrooms, headboards can make a huge difference in the overall feel of the room. Metal frames and headboards are big this fall, and can give the appearance of extra space. An alternative headboard idea from Better Homes and Gardens is to attach vintage hankies to an artists’ canvas and hang it above and behind the bed. For a full-room change, slipcovers are always drastic for any season. Whether you are redecorating an entire room or just looking for a seasonal alteration, throwing slipcovers over your tables and chairs can make for a nice accent to any room. 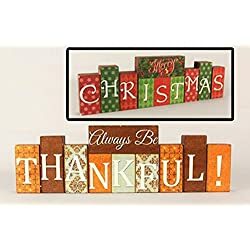 Centerpieces: Table centerpieces and door hangings can be a nice holiday touch, but do not overlook this decorative opportunity just because it isn’t Christmas! 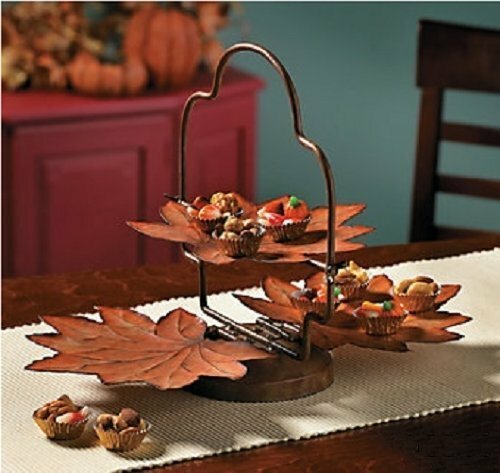 Pumpkins, acorns, and pinecones make great centerpieces for the fall months. 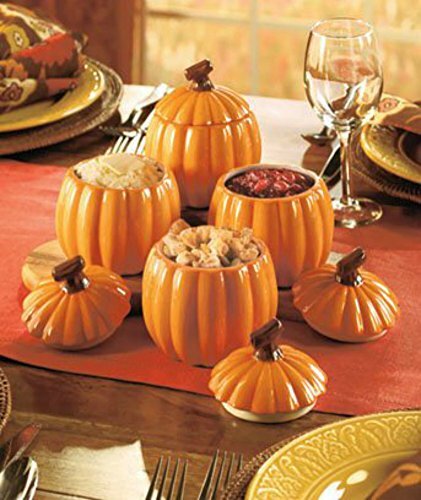 You could hollow out a pumpkin and use it as a flowerpot or elevate a candle and add stones and acorns to the design. Beaded garland is always a nice touch. You can wrap this around gourds, or plastic apples and throw acorns and leaves in the mix. For extra shiny leaves, rub with a little Vaseline or moisturizer. With all of your decorations and remodeling ideas, remember the fall colors. Deep, burnt oranges, chartreuse shades of green, burgundies and earthy browns are all really great choices for autumn. credits: here, here, and here… thank you! How about some Fall BATHROOM decorating ideas?